An unsuccessful attempt at capturing a saltwater crocodile did not hinder tourists from visiting Pantai Kampung Tengah, Kuala Sungai Baru. According to MyMetro, the 20km stretch from Kuala Linggi to Tanjung Bidara was far from deserted. It is not because of the fact that the tourists are not afraid, but it is because of the fact that frequenters of the beach are unaware of the incident. Which makes us wonder, why wasn’t the beach closed down? Suraya Abdul Manaf said that she was unaware of the unsuccessful capture of the saltwater crocodile by the state Wildlife and National Parks (PERHILITAN) personnel. Sulaiman Mohd Ali said that he learnt of the incident through social media, but is certain that the reptile will move away from the beach as it is full of people. 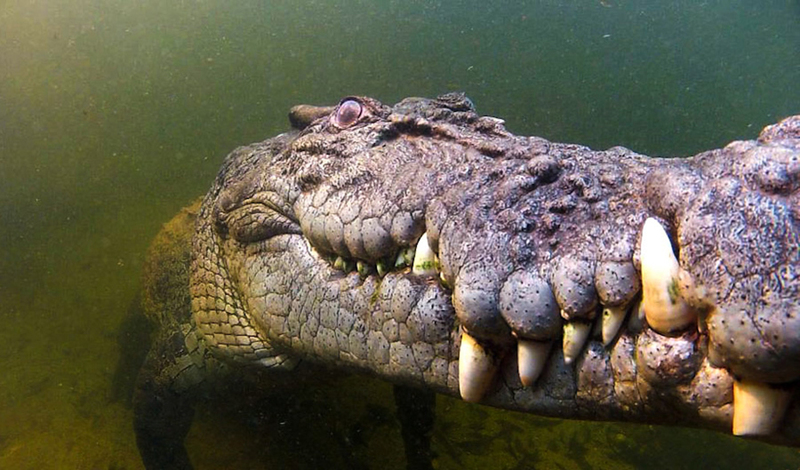 “We are afraid of crocodiles, but thus far there is no incident of a tourist being eaten by one”. First time for everything, we say! In an early morning incident, a 3.5-metre saltwater crocodile was caught tangled by a fisherman’s fishing gear in an operation to capture the reptile. It is believed that the crocodile has been entangled by the fishing gear since Thursday, one nautical mile from the beach. A short video surfaced on twitter, showing the capture attempt that took place in the morning. 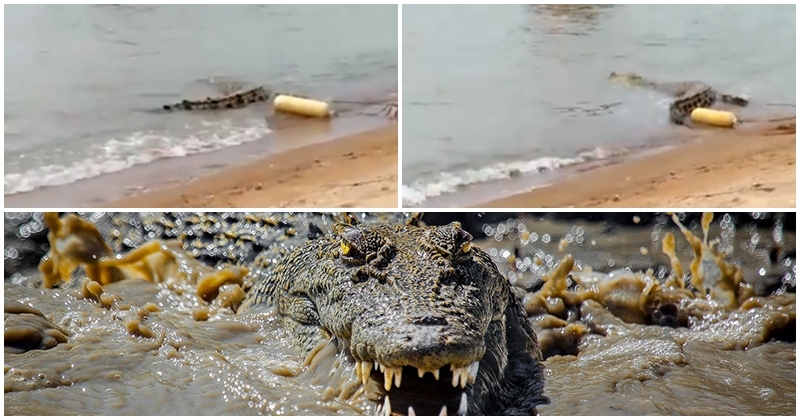 Shared by @syawier12, the video showed images of the crocodile wading in the shallow water. The video has garnered more than 10k retweets and 3.7k likes. Let’s be more careful and not take chances with reptiles known for their teeth and predatory instinct.